Whether you are looking to revamp your wardrobe, buy gifts for loved ones or furnish your home, there are malls in Mumbai that can loosen the tightest of purse strings. With so many stores selling thousands of Indian and international brands in a massive range of product categories, malls offer something for everyone – from clothes for the budget shopper to dapper luxury wear for the big spender. So no matter if you are a bargain hunter or a carefree splurger, you must visit these 16 best malls in Mumbai for fantastic shopping experiences. 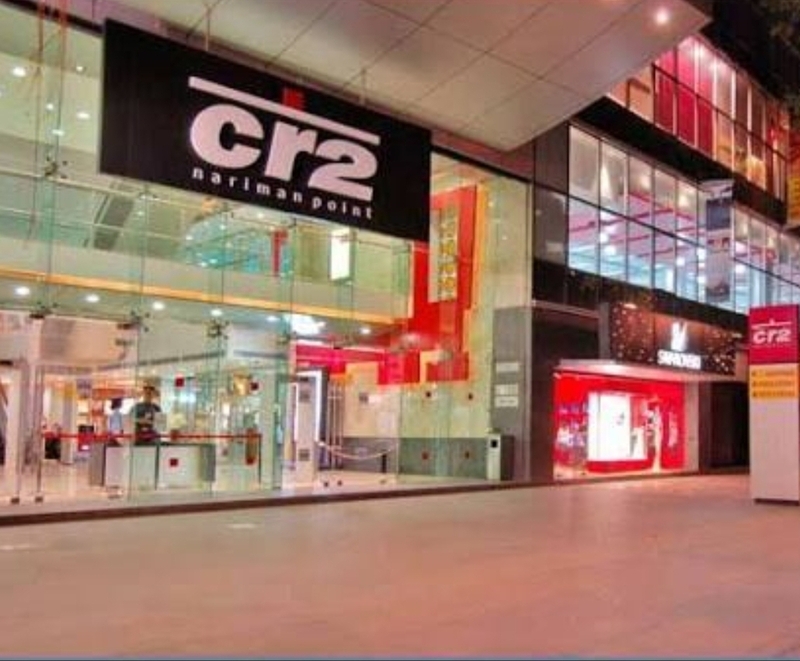 Located in South Mumbai, the CR2 Mall is a haven for shopaholics and fast food lovers. This mall boasts international and local branded stores. Food lovers will love exploring the spacious food court that houses a few coffee shops and popular fast food joints. There is also a large multiplex inside the mall where you can catch the latest Hollywood and Bollywood movies. This old-school shopping mall lies on the Haji Ali Road and is popular for its electronics stores. On most days, the mall is packed with gadget freaks who come here to browse and buy the latest mobiles, accessories and electronics. Apart from electronics, there are also a few clothing shops inside the mall. Just a short walk from the mall, you can see the Haji Ali Dargah that is located on a islet off the coast – it is one of the most famous tourist attractions in Mumbai. 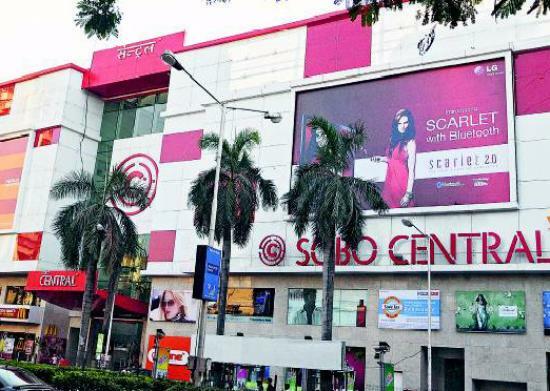 Walking distance away from the Heera Panna Mall, Sobo Central Mall houses The Brand Factory department store where you can get trendy clothes and accessories at extremely reasonable prices. There’s a McDonald’s fast food restaurant here if you need a quick bite. Though it is not a huge mall, it’s ideal for garment shopping and known for its great discounts on apparel and accessories all through the year. Atria Mall in Worli is a posh mall in South Mumbai. It used to be extremely popular years ago but its number of shoppers have declined as other malls have opened up. However, it still gets its regulars who come here to browse and buy at the many stores or watch a film at its fancy cinema. The cinema hall is equipped with a great restaurant and recliner chairs to make the movie-watching experience extremely indulgent and fun. Its prime location in Lower Parel makes High Street Phoenix a buzzing mall. At this mall you can shop for clothes, accessories, bags and footwear from some of the biggest brands in the world. While shopping, enjoy a few snacks or light bites at the fast-food outlets or a nice meal at the restaurants. Going to the mall with the kids? Take them to the Hamleys toy store at High Street Phoenix and watch their eyes light up in this magical wonderland of toys. A mecca for luxury items, the Palladium is a prestigious mall in Lower Parel. Leather accessories, western clothing, perfume, home accessories and other goods greet gleeful shoppers with sheen and shine. To liven up the atmosphere on the weekends and during festivals, the mall organizes events for kids, a few live performances or workshops. Gorge on yummy snacks or fine foods at Palladium’s open air food court while listening to the bopping music that plays in the background. The Orchid City Centre Mall in Mumbai Central is a mall that’s always crowded. Shoppers love it for the fabulous discounts and offers at the department stores inside. The mall also houses a car spa facility and a play area for kids. Those looking to grab a quick bite can do so at one of the fast food outlets inside the mall. Inside the Raghuvanshi Mills you will find a few interior and home décor stores as well as many eating joints. The place is frequented by foodies and the office-going crowd of Lower Parel, who often drop by in the afternoons for a quick lunch followed by a quick walk around the premises. one of the oldest shopping markets in Mumbai. The market is always buzzing with sellers and shoppers from the wee hours of the morning. In Crawford Market you can shop for fruits, imported food item, clothes, packaging, utensils, pots, pans and so much more. During the festive seasons, shoppers go here to browse the beautiful decorations available, often cheaper than the market rate. After you are done with all your shopping, visit Badshah that is located nearby for delicious faloodas and ice creams. Nearest Railway Station: Chhatrapati Shivaji Terminus, Churchgate. Go here to get yourself clothes and accessories at bargain prices. The Link Square Mall is also home to Croma, one of the biggest electronics retailers in Mumbai. After you’ve shopped at the mall, head to the ground floor to enjoy a delicious cup of coffee and desserts at the Theobroma cafe. 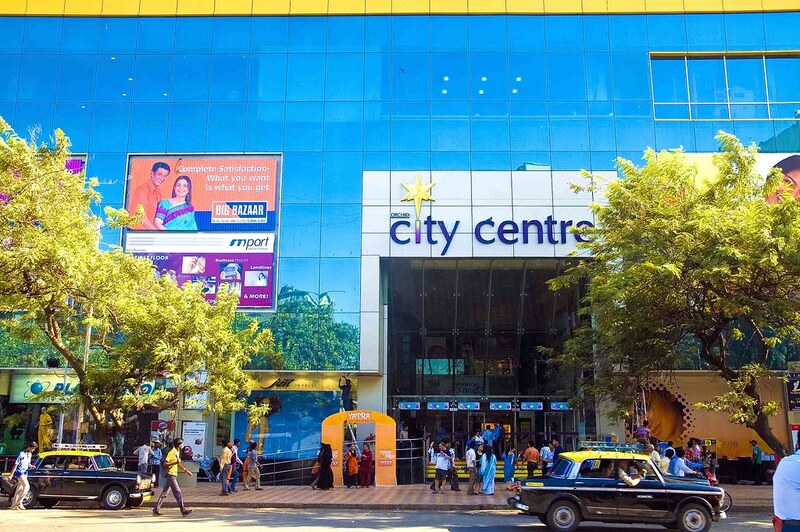 Home to some of the best retail stores in the country, a theater, pubs and a massive sports bar, Phoenix Marketcity Mall is one of the largest in Mumbai. Equipped with wide walkways and escalators, the mall has all the facilities for a pleasant shopping experience. On the weekends, the mall organizes entertainment programs at the large open area called Dublin Square situated inside. One of the two famous malls in Malad, Inorbit is home to two department stores, many international retail brands and plenty of fast food outlets and restaurants. What sets this malls apart from the rest is that it also has a football turf and a few outdoor slides for kids. There is also a huge gaming zone with arcade and virtual games, and a big cinema hall where you can catch latest English, Hindi and regional flicks. Hypercity is actually a department store, but the place comes close to being a mall thanks to the facilities it offers shoppers. Spread over two levels, the ground floor has a grocery and liquor store, a few fast food outlets and a spa. On the first floor there is a massive space where electronics and furniture items are sold. 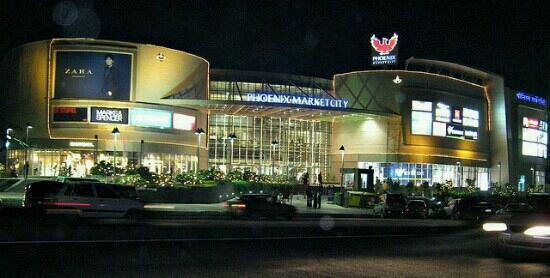 Hypercity is located next door to Inorbit Mall. Home to India’s only indoor roller coaster, Infiniti Mall is the cream of the crop when it comes to malls in the western suburbs. Its basement, first and second floors focus on retail stores, while the top floors have a gaming zone, a movie theater, a few pubs and a massive food court with a wide range of Indian and international fast food options. There are spas and salons to unwind at – a perfect way to conclude your shopping journey. If you are a coffee person, check out the Starbucks or the The Coffee Bean & Tea Leaf cafes for a delicious hot cuppa. 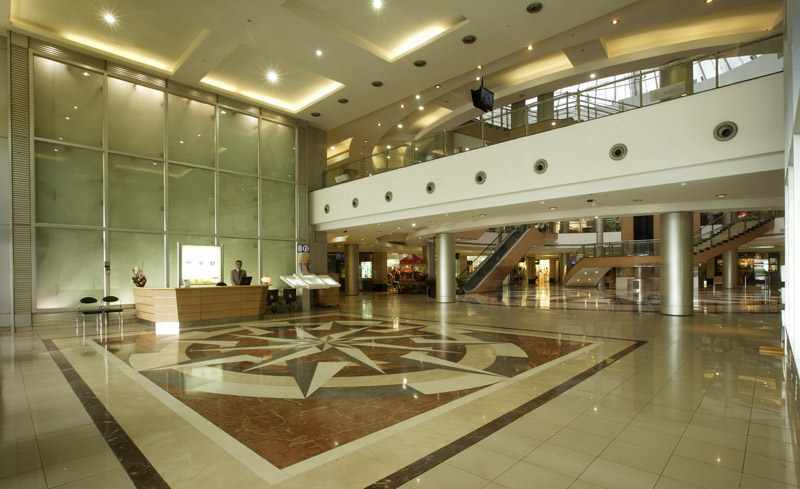 Located in the heart of Thane, the Viviana Mall is offers its visitors more than just great shopping experiences. At the mall, apart from shopping, you can enjoy looking at beautiful plants in the nursery, gaming at the adventure world or watching the best Bollywood and Hollywood films at the cinema. Exclusive international brands (Bose, The Body Shop, Pepe Jeans, Adidas) decorate the corridors of this Thane shopping mall. There’s a movie theater and a food court here too. Food choices range from cheap-and-quick mall standards such as Pizza Hut and 95 Pasta & Pizza to elegant restaurants like The English Department Bar & Diner. These 16 shopping malls in Mumbai are the best places to shop till you drop, offering huge varieties of brands and stores, amazing food and drink options, exciting entertainment and pleasant ambiance. Which malls do you love to frequent in Mumbai? Let us know in the comments below.